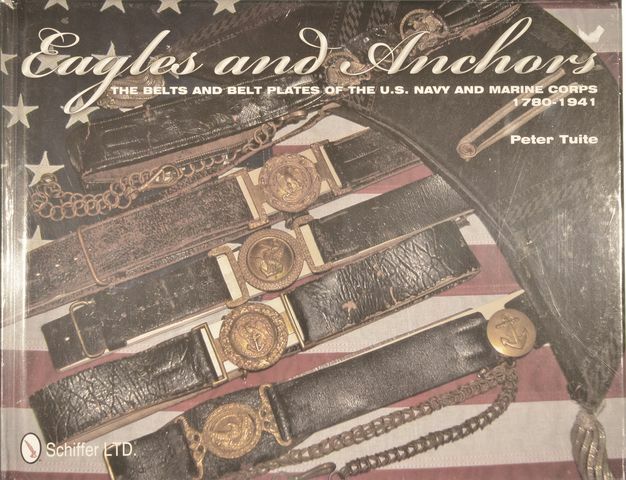 EAGLES & ANCHORS: THE BLETS AND BELT PLATES OF THE US NAVY AND MARINE CORPS 1780-1941 by Peter Tuite. Hardcover, 112 pages with color images. 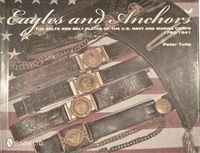 This book illustrates the belts and belt plates worn by U.S. naval officers of all ranks from the Navy’s founding through World War II. It also addresses the belts and plates worn by the U.S. Marine Corps through the 19th century, with a separate chapter on those worn by Confederate naval officers during the Civil War. These historic items, from private collectors and museums throughout the country, are presented in color and include most, if not all, of the belt plate designs worn by these three services. The uniform regulations that defined the various design features over time are also summarized with the patterns that were typically used in the 19th century to specify military uniforms.